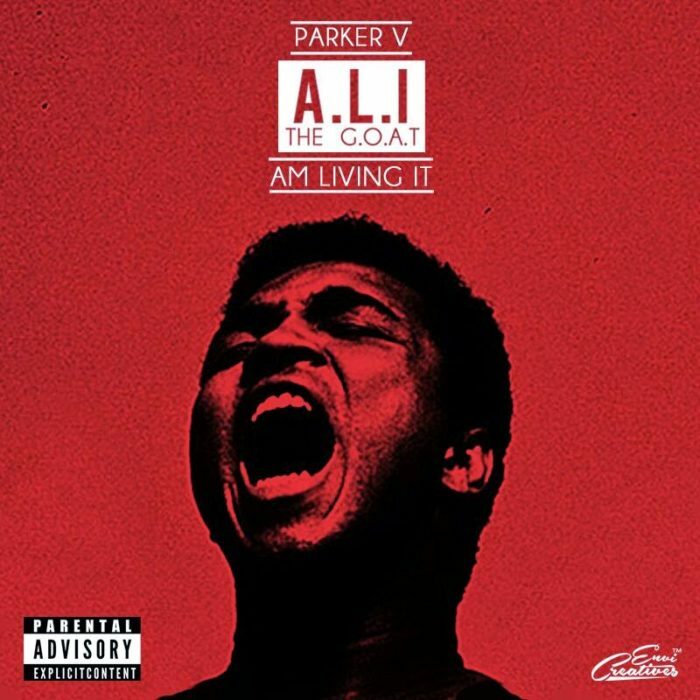 achievements to Parker V’s aspirations as a rapper, in other words Parker V aspires to be greatest as a Rapper as Ali is as a boxer. The twelve tracks project has all tracks produced by Mike Millz a fast rising producer and C.E.O of Stage Crew Productions. Parker V first got into the spot light when he composed the theme song for the Ghana Youth Forum an annual debating competition for senior high schools across the country and also performed as the guest artist on the bill for the occasion. Right after that he also had an opportunity to compose another theme song for the Be Bold show which aired weekly on ETV Ghana and followed up with an interview on the show. He also dropped an EP titled THE PARKER V EP and since has been very active in participating in several events and gigs. The amazing rapper has been on several features and consistently impressed with his rap skills, also several major arts have commended him for his great works and numbers are anticipating on his major entry .The super dope upcoming rapper with splendid delivery, awesome rhyming scheme, outstanding metaphors and very commercial music is worth the wait. A.L.I the G.O.A.T is dropping very soon. Don’t miss out!! !